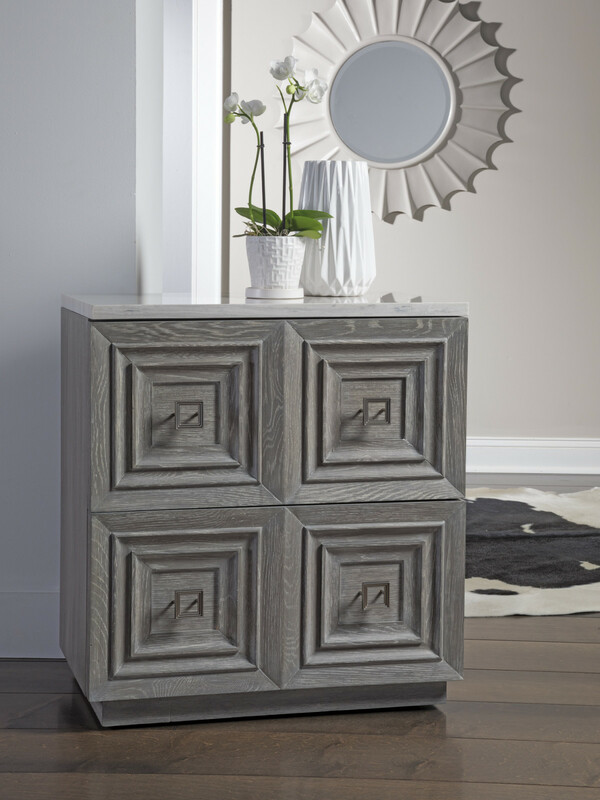 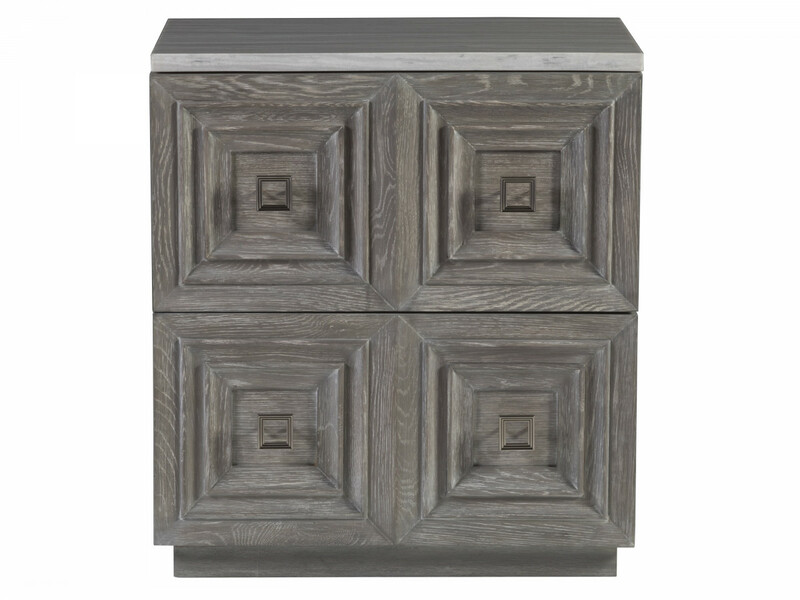 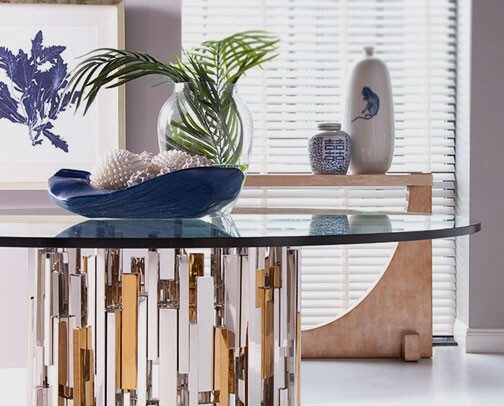 Modern Jacobean design crafted from white oak and mahogany solids, and quartered white oak veneers featuring a hand wire brush and ceruse gray finish. 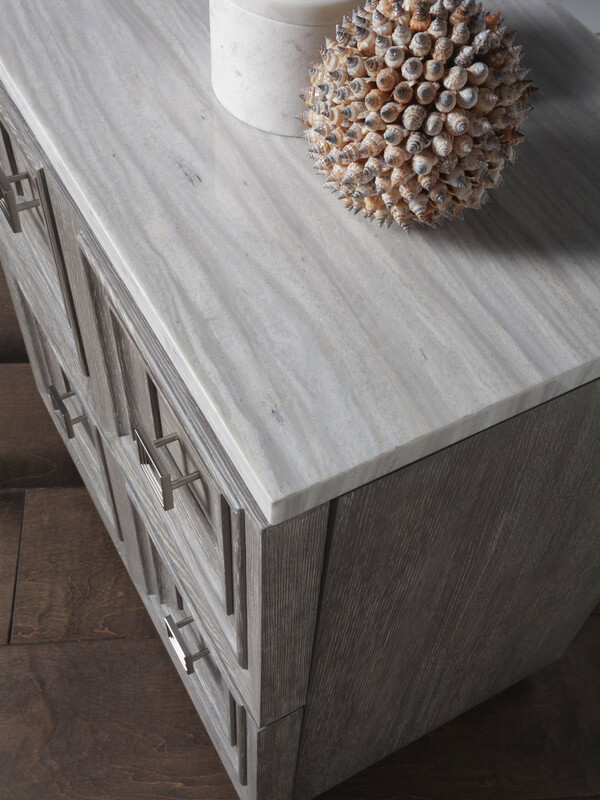 The silver white travertine top complements to brushed nickel hardware on the two full-extension soft closing drawers with painted interiors in a gray coloration. 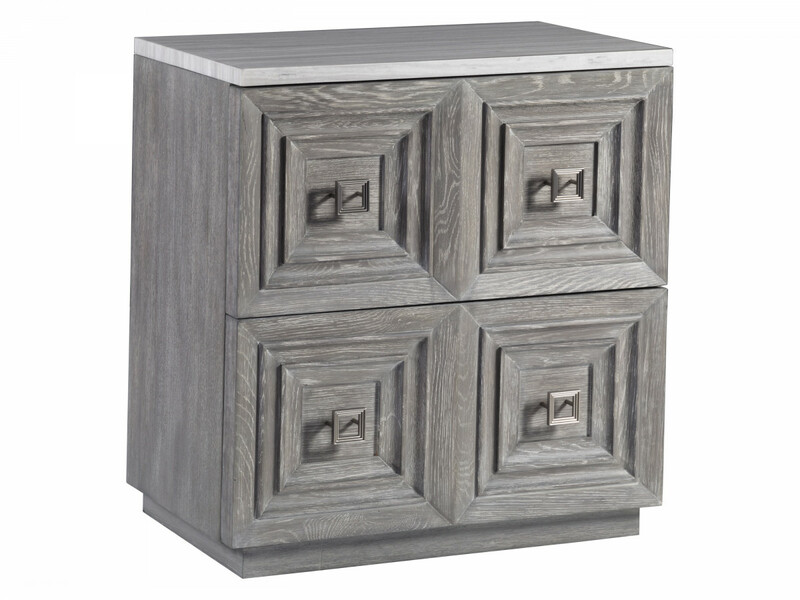 Dimensions: 27W x 17D x 30H in.